Earlier this summer we started the project of processing and digitizing our Frank Koza Collection, which has provided the exciting opportunity to dig into and share some of what the collection has to offer. There’s still a lot more to work through, but we’ve already found some incredible gems! You can read a lot more about Frank’s exciting life on our Frank Koza collection finding aid (including tales of working with Frank Lloyd Wright and an adventurous trip to Cuba to acquire photography equipment from Fidel Castro), but in brief: Frank was a veteran newsreel photographer who lived and worked in Chicago for over 54 years, from the early 1950s to his death in 2013. Born and raised in Cleveland, Frank started working in theatrical presentations before moving into filming in the late 1940s, with his first big assignment as a war correspondent in Korea. Throughout his career he shot politicians (becoming good friends with President Harry S Truman and Mayor Richard J. Daley), war, sports, and any and everything in between, establishing an impressive reputation as one of the best. CFA acquired the full collection of Frank’s negatives, trims, and prints in 2012, at which time they were meticulously inventoried by past CFA intern Amelia Anderson. Since then, a few prints have been digitized here and there, but now is the first time we’ve undertaken a proper processing of the entire collection. 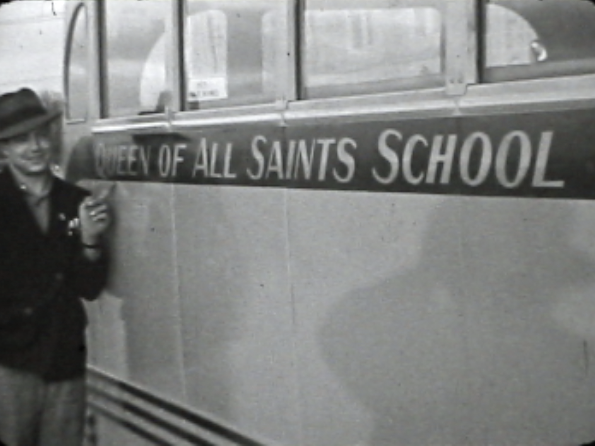 We recently shared on social media the delightful “Opening Day of School,” which showcases the first classes in the (at the time) still-under-construction Queen of All Saints School in 1940. As children enter the building amid rubble and construction, the line-up of schoolteacher nuns is introduced, followed by the school’s Halloween parade and an appearance from Monsignor Dolan, the guiding light of the Queen of All Saints Basilica (and dear friend of Frank). 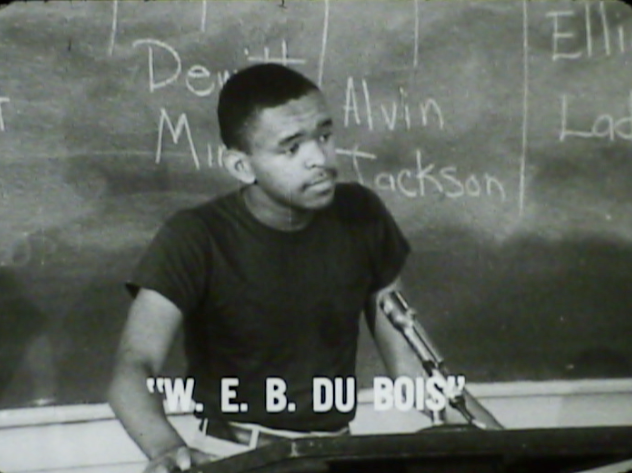 Then, thanks to a fortuitous phone call from the University of Chicago, we pulled the 1968 documentary short “A Space to Grow,” which features Upward Bound programs at universities around Chicago. 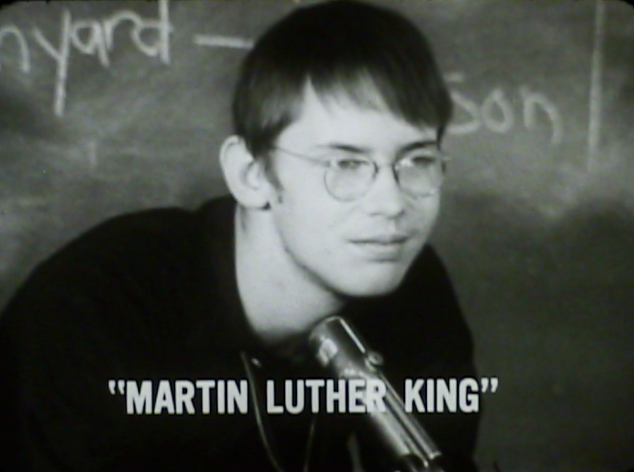 This summer marks the 50th anniversary of the first Upward Bound programs, making this the perfect time to share this film that Frank worked on. Upward Bound is a federally funded program that today is part of a loose cluster of programs known as the TRIO Programs, all of which serve to provide programs and services to students from disadvantaged backgrounds. 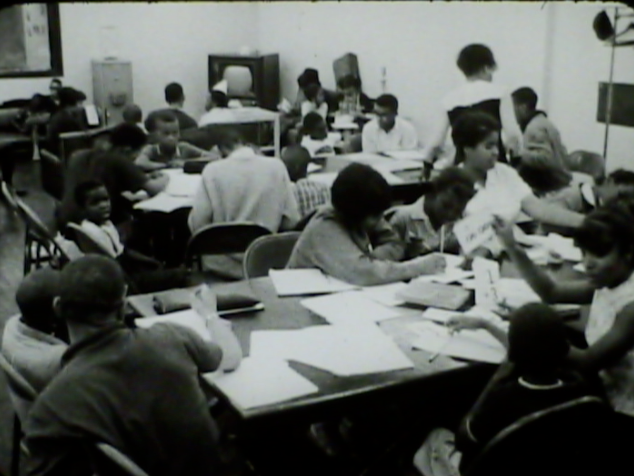 Upward Bound in particular was established in the summer of 1965 following the Economic Opportunity Act of 1964 and the Higher Education Act of 1965. In that first year, Upward Bound served 2,061 participants at 17 different institutions. When the film premiered in 1968, this number had grown to 32,000 at 285 colleges. Today, there are about 76,000 students every year at more than 1,000 locations across the country. Wow! Upward Bound’s main mission is to help students engage in learning and inspire them to complete high school and move on to graduate from a college or university. This was an integral part of the U.S. government’s “War on Poverty” in the 1960s and remains an important opportunity for students from a variety of backgrounds. Several notable alumni of Upward Bound programs include basketball star Patrick Ewing, political strategist Donna Brazile, and Queen of Chicago Oprah Winfrey. More about the Upward Bound program here. “A Space to Grow” premiered at a special event in September 1968 to commemorate four of the first college graduates from the program. For more about this event and to read some of the remarks from Senator Edward S. Muskie, see this series of articles from Setpember 6, 7, and 10, 1968. 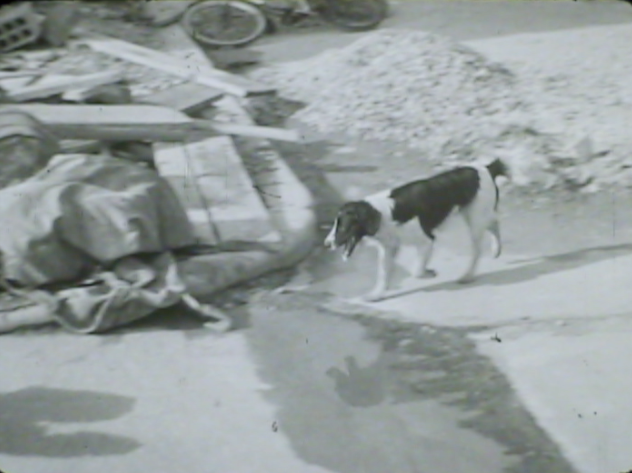 The film then went on to be shown around the country and nominated for an Academy Award for Best Documentary Short. Narrated by Henry Fonda, the film starts out sensationalist in its approach, establishing a world of impoverished students whose talents become lost to society. Luckily, it drops this and dives into a program in-progress at a “university campus in the Midwest,” where we see students discussing literature in a class outside. The students’ lives are revealed, showing where they live during the program, how they spend their time, and what kind of classes they take (including an excerpt from a Northwestern student film by Peter Kuttner that we have here at CFA!). From student-produced plays and sculpture to conflict resolution classes and deep philosophical discussion, the Upward Bound programs are presented as rich and engaging opportunities. 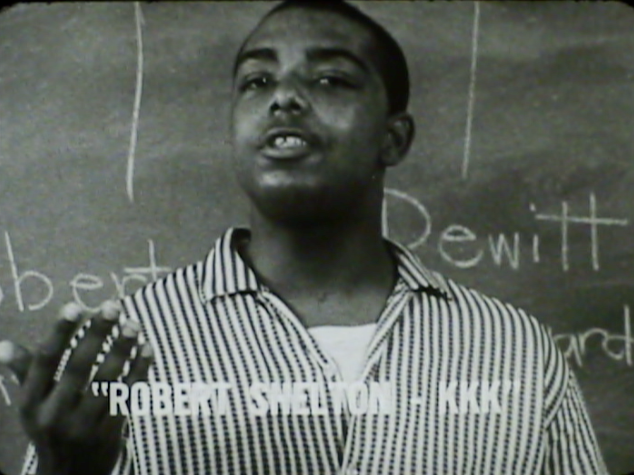 One highlight of the film is a sequence in which the students role-play as significant orators discussing issues such as class and race relations. These speeches, impressive for their performativity, are also opportunities for the students to grapple with the issues themselves. To increase the challenge, several students are assigned characters that represent very different perspectives from their own. The resulting discussions are thought provoking and exceptionally captured on screen. 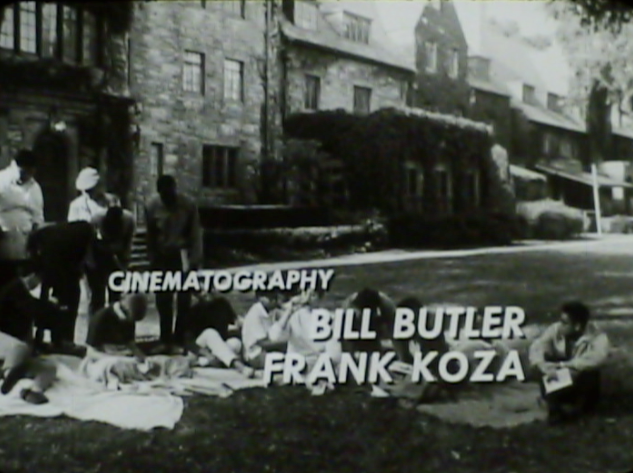 The credits identify the Chicago universities as Barat College, Loyola University, Mundelein College, Roosevelt University, University of Illinois, and Northwestern University. Although the film doesn’t make explicit which scenes occur where, keen eyes can spot at least one of each Northwestern and Loyola sweatshirts. On display is Frank’s careful attention to composition and ability to record a unique take on a scene. Even across this short film, so much of the personalities of the students are conveyed in Frank’s images. For more information, check out the film’s full page in our catalog.